Finally, the promotional CD-single for the Darkness' single Everybody Have A Good Time came in today. The seller advertised it as a one track promo, but it turned out to be a two track promo, so I double checked all the current and closed eBay auctions and it seems that there is only one version out there of the European promo! I therefore not only added scans of this promo, but also updated the info about this release accordingly. Stay tuned for more Darkness updates in the next few weeks! A fact that I completely forgot to mention this week is that Zebra and Snake released a new single on Monday called Empty Love Song. You can check the details right here! The Darkness are promoting their new album like madmen! So far three different promotional releases have surfaced so far for Hot Cakes and you can find the details over here at last (though there are no scans available yet). It furthermore seems that Nothin's Gonna Stop Us will be released as a commercial single anytime soon (possibly in September or October)! More details will be added once they become available. 宇宙戦隊NOIZ announced further details for their upcoming album METEORS. Check out the tracklisting, artwork and different editions! Don't forget that you can download Lovelife's debut EP El Regreso for free as of yesterday from their own website! Seconds are ticking away. It won't be long anymore until Lovelife release their debut EP El Regreso digitally and for free through their own website. In the meantime you can listen to the full EP online at Earmilk.com until the download comes out tomorrow. So far it sounds like the EP is going to feature new versions of songs that were previously released as demo recordings! Did you know that the vinyl edition of The Darkness' album Hot Cakes features a unique version of a song? No? Well now you do! Check out the details! It seems that we can expect a new single by Gotye in early September being I Feel Better. It will once again be a digital-only single, yet promotional CD-singles are starting to surface and it is this promo release that has been added tonight. All different commercial releases have now been added for The Darkness' latest album release Hot Cakes! I've also added some further info about the vinyl and promo releases. OK! So I've received all three formats of The Darkness' latest album Hot Cakes today. Scans will be made tomorrow (hopefully also of the lovely vinyl) and added to the website, although I already made some updates to the album's tracklisting (there were some typos) plus I have updated their single discography with regards to the last three singles. After a delay of about two weeks I was finally able to finish a new artist. 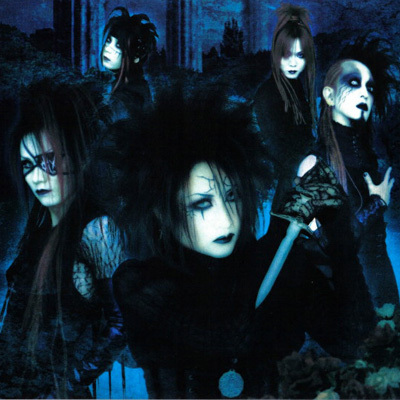 Tonight I have added Moi dix Mois who are a band from Japan and create some dark, synth-pop/rock/gothic music and are certainly interesting enough to be checked out! And another update for today... I've added further information to the website about the 2011 compilation CD Music To Play Games By Too which features a track by Vile Electrodes. Check out the details and artwork! 宇宙戦隊NOIZ released a new video on the 7th of August for a cover song called Narda which is by the Filipino rock band Kamikazee. The song is not going to be featured on their upcoming album METEORS, so it is yet to be seen if it will ever be featured on a physical release. In the meantime, check out this great new song! Lovelife's first release is in the pipeline! It is called El Regreso and will be a free digital download as of the 21st of August from their official website! I got this disc already a few weeks ago, but always forgot to scan it until tonight. It is the European promotional CD for The Darkness debut album Permission To Land, although at that time the album didn't had a name yet. A new artist has been added this evening being Vile Electrodes! 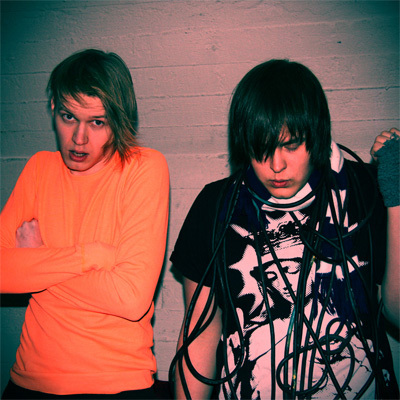 They are a duo from the UK and create electronic pop music. 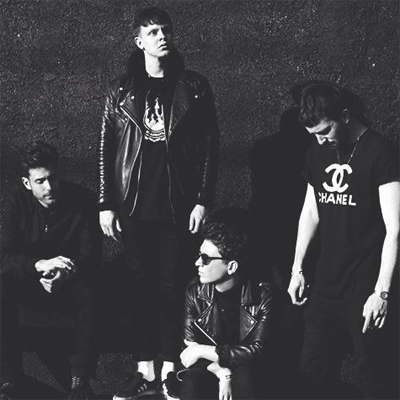 They are still in the starting blocks, but were already featured on two compilation CD's, released an EP and are currently working on their long awaited debut album. Check out some of their recordings and videos on their main page! Two new demo cassette releases have been added for メトロノーム. The first one is for プラネット, the second for 東京バビロン which seems to be unknown on the internet.... until now! 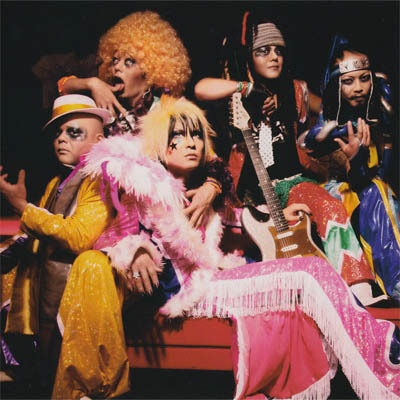 I've also added the final missing single of 宇宙戦隊NOIZ which was ミラクル★ロケットG5. This is however the limited tour edition! Zebra and Snake announced further details of their upcoming digital single Empty Love Song which you can view here, including release date, tracklisting and artwork! 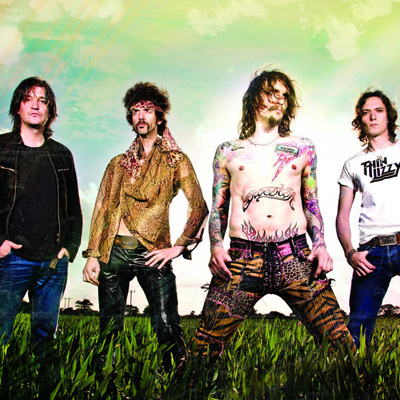 Further details of the upcoming The Darkness album Hot Cakes have been revealed today. Check out all the different formats over here! I am also once again working on adding a new artist to this site, so keep your eyes open in the next few days! Hint: Asia & M10M. Zebra and Snake announced a new single this week being Empty Love Song. There are no further details known yet, but a new entry has already been made for this single plus you can view the new video. I have updated the details for The Darkness' latest single Everybody Have A Good Time as there are at least two promotional CD's out there. There are no scans yet. The final update for today is for メトロノーム's first rare mini-album ヤプーが召喚された街. High resolution scans have been added plus some further details. It seems that besides the two DVD's that are featured on this website, there is another DVD for the HIGH FIVE mini-album release! This one has a unique sleeve and was apparently for sale at a number of concerts and is similar to the I.M.P CD/DVD release. I was able to find a copy and hope to write more about it in the next week or two once it has arrived! Two new items have been added for 宇宙戦隊NOIZ: the RISKY DRUG STORE DVD of HIGH FIVE, I have included some screen shots as well, just to give you an idea of what you are missing ;), and the limited fan club CD of GENOM EMOTION has been added which features unique artwork and is the only physical release for this album.